Toss won by Delhi Capitals and they decided to bowl first. KXIP gave the target of 167 runs to DC. They made 166/9 in 20 overs. 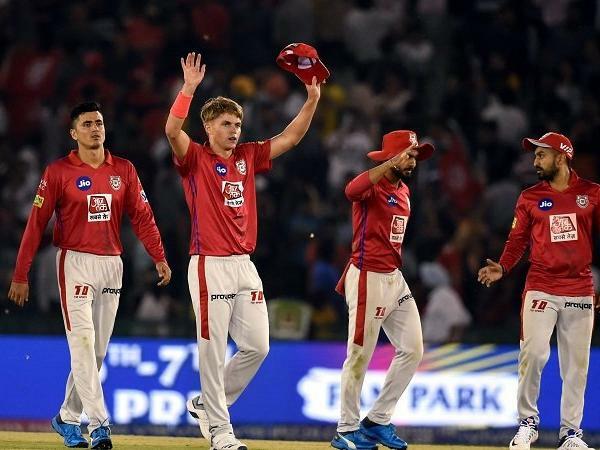 DC gave surprise to KXIP as they opted to open with KL Rahul and Sam Curran. Both of them did not stay on pitch for long but Curran cover drives were a treat to watch and took on Sandeep Lamichhane for a maximum before getting trapped lbw. who was spot-on with his Yorkers and full-length deliveries to change the complexion of the game single- handedly. DC’s miseries led to the Englishman’s hat-trick; the first of the ongoing season. At No. 4, wicketkeeper-batsman Sarfaraz Khan looked set for another vital knock for his new franchise. He did contribute with a fine 29-ball 39 which included six boundaries. However, it was his scoop shot which earned maximum applause. Sandeep Lamichhane got another game for DC. He proved his worth once again by giving away only 27 runs and accounted for two key wickets of Curran and Sarfaraz. Rishabh Pant and Colin Ingram were on course to take the team to an easy win. Before the two fell, DC were 144 for 3 with only 23 required for a win. DC at one stage at 144 for 3, DC were on course to finish the game with few overs to spare. However, just like they ‘almost’ conceded the game to Kolkata Knight Riders in the previous tie, they succumbed to pressure again. As a result, the capital franchise lost the last 7 wickets for 8 runs in a span of 17 deliveries.